Flowering Season: Summer. 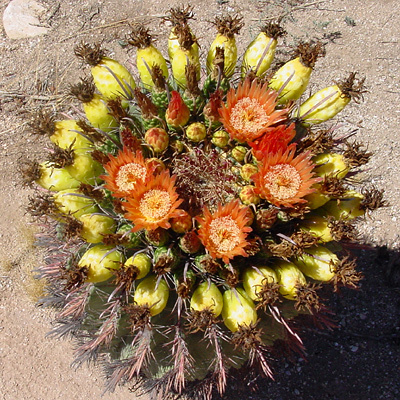 These cacti bloom from July to September. Description: The 2 1/2 inch (6.35 cm) wide flowers have numerous narrow tepals and are followed by edible, but sour yellow fruits. Ground squirrels and other desert rodents are very fond of the fruit. The large, stout main spines are reddish and downcurved. 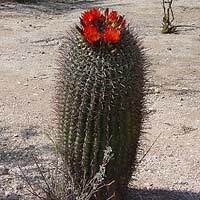 The barrel-shaped stem leans to face southward. 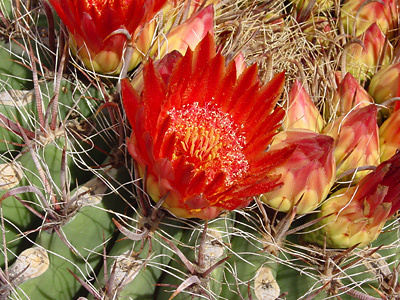 The showy flowers ring the tops of the barrel-shaped cacti. 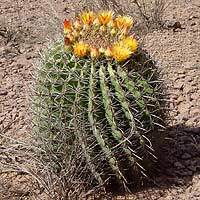 These plump cacti eventually grow too tall and heavy for their roots to support, and they will then fall over and slowly die. 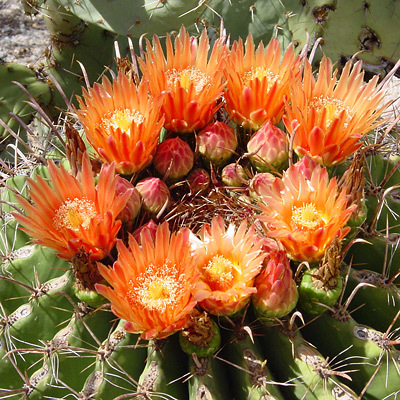 These attractive cacti are available in native plant and cactus nurseries. They are protected, so don't collect wild plants. 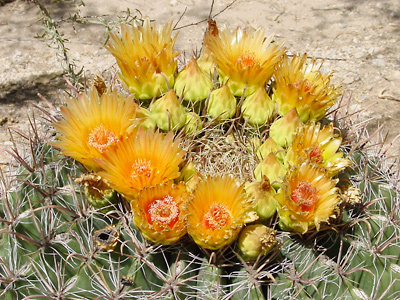 Edible – The ripe yellow fruits are edible, but they are tart, lemony, and firm-textured. The flowers and flower buds are edible and are best if cooked and used like a vegetable.